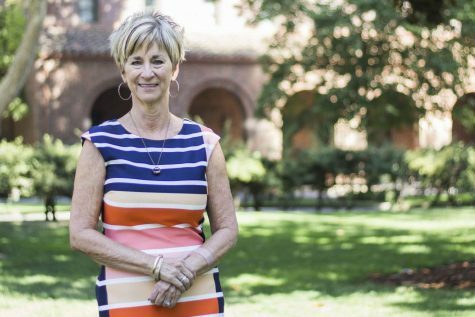 The new president of Chico State will be revealed next week. (Illustration by Orion Staff). Correction: An earlier version of this story indicated Laurie Weidner is the CSU Vice Chancellor of Public Affairs. Weidner is the CSU Assistant Vice Chancellor of Public Affairs. The title has been corrected. 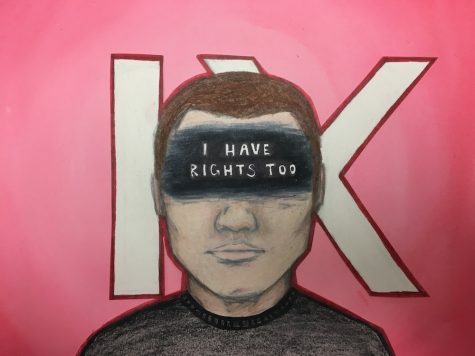 Only time will tell who the next president of Chico State will be, because nothing else will, including the people charged with making the final decision. The months-long secretive presidential search is set to conclude next week, following three candidate interviews on Monday, being held in a closed meeting at a Hilton hotel in Long Beach. 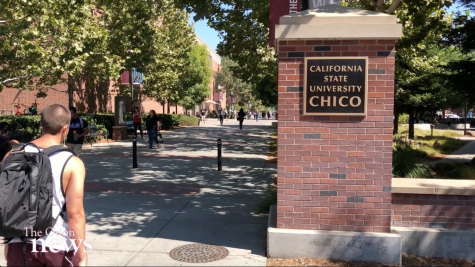 Joe Wills, the director of public affairs for Chico State, said the university will likely announce the new president on Wednesday, two days after presidential hopefuls are vetted by the Board of Trustees, the 25-member decision-making body of the California State University system. 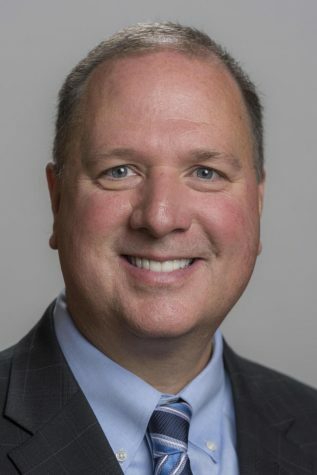 The trustees could announce President Paul Zingg’s successor on Monday, Tuesday or Wednesday, but the exact date could not be confirmed. 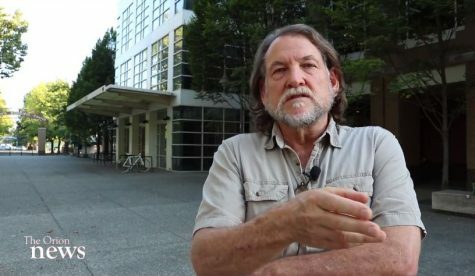 Last August, Zingg announced his intent to retire at the end of this academic year. 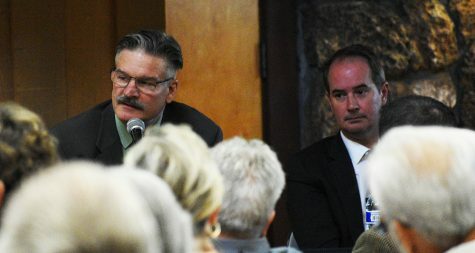 CSU Chancellor Timothy White and Trustee Doug Faigin are the only ones allowed to speak on behalf of the selection committee before a decision is made, according to the CSU presidential search policy, and neither one could be reached for comment. 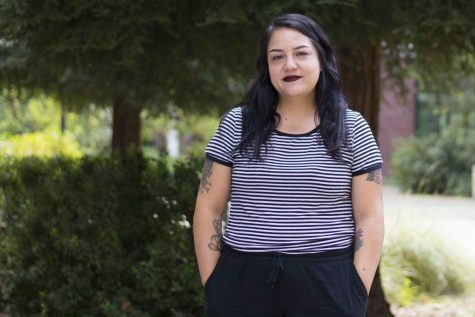 The candidates’ names remain a mystery, and so do their values, qualifications, skills and reasons for choosing Chico State. Farshad Azad, chair for the university’s presidential search advisory committee, confirmed by phone on Thursday there is a trio advancing to the finals, but couldn’t comment any further. Wills said his office hasn’t announced any candidate visits to campus and he isn’t aware of any candidates visiting campus at all. It is possible, he added, that a potential president could’ve visited without his and the public’s knowledge. Before Zingg became president in 2004, he visited Chico State and met with the campus community. Wills, echoing what the chancellor has said before, explained that the CSU system now prefers to keep candidates’ identities private. By doing so, he said the search firm attracts the highest quality applicants. In recent years, colleges and universities nationwide have drawn sharp criticism for holding secretive presidential searches, raising many questions about the practice. 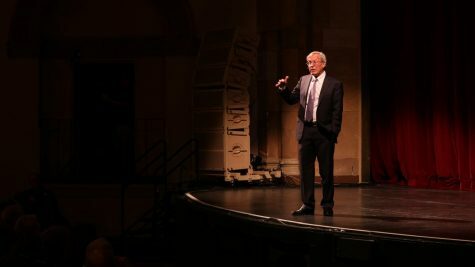 The search for the 15th president of Chico State began in Nov. 2015 when a public forum was held in Laxson Auditorium that determined the desired qualities of the future president. Dozens of community members presented the qualities they’d prefer the next president have, as a panel seated on stage listened. 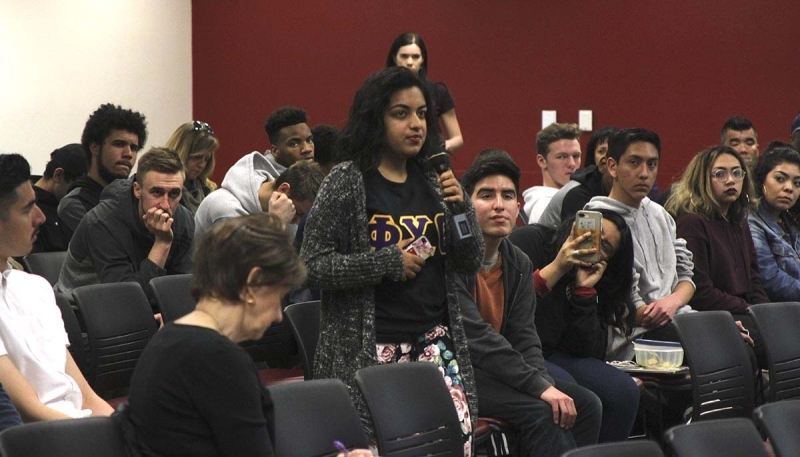 The panel consisted mainly of two selection committees, with representatives from the CSU system, the CSU Chancellor’s Office and Chico State, filling the seats. A couple people representing the search firm Isaacson, Miller also sat on stage. That was the last time the general public was involved. 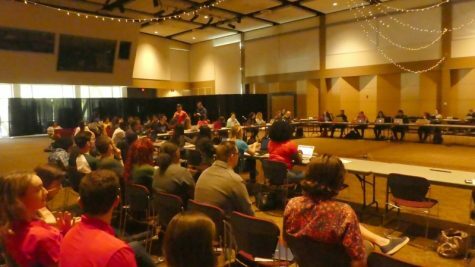 On Feb. 3, the two committees met in a closed meeting in the Bell Memorial Union and sorted through applications collected by Isaacson, Miller. Then, on Feb. 26, the two committees interviewed the selected applicants in private at a Hilton hotel in Sacramento, and some candidates ostensibly advanced to Monday’s final round. 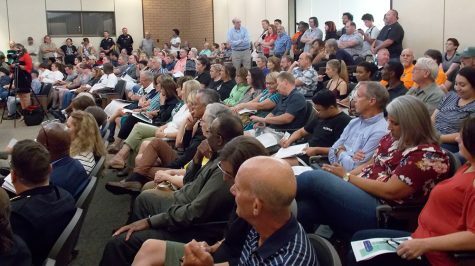 CSU Assistant Vice Chancellor of Public Affairs Laurie Weidner said in an email that no vote will be taken after the closed session interviews on Monday. Faigin, in the open forum, said the trustees will probably debate after the interviews and hopefully reach a consensus over who the winner should be. “And that’s our new president,” Faigin said.